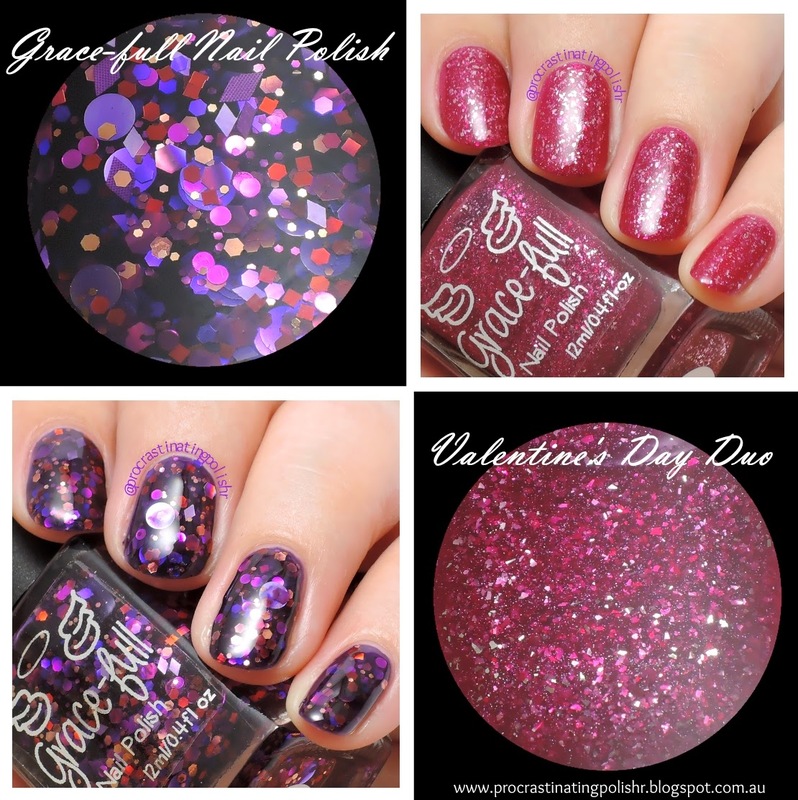 Today I am very excited to be showing you the Valentine's Day duo from Grace-full Nail Polish. 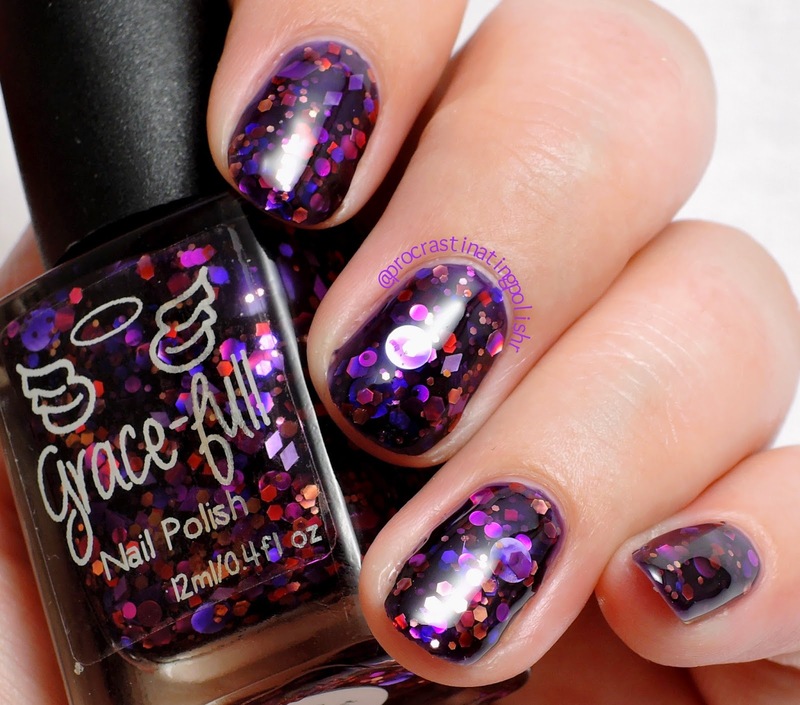 If you haven't already discovered Grace-full polishes they are the creation of Theresa from It's All About the Polish - one of the first Aussie nail blogs I ever followed! The Valentine's Day Duo is elegant and feminine with the perfect amount of sparkle. Theresa really has an eye for colour and glitter combinations, which you'll see in my swatches. Love's Bouquet is a stunning glitter bomb sitting in a beautifully rich blackcurrant jelly. My swatches show two dabbed coats for maximum glitterage. This polish contains one of my all time favourite glitters - huge holo dots! They can be a pain on my small nails but I love them anyway. Another exciting glitter is the smaller size diamonds. I usually find the large diamond glitters (which you will still find in Love's Bouquet) stick out too much on me so the smaller ones are perfect! As with any loaded glitter bomb, the formula appears thick due to the volume of glitter and is best suited to dabbed application rather than brushing. The actual jelly is easy to work with and is amazingly opaque while still letting all that glitter shine through. It is easily one of the nicest glitter bombs I've worked with in a while. Of course with all that glitter you will need a good thick top coat - I've used Glisten & Glow HK Girl here. A gorgeous berry jelly (crelly? I'm not sure) that shines with silver coated platinum flakies. If you want to be entirely fabulous then this is probably the polish you need. Swatches show two dreamy coats and top coat. 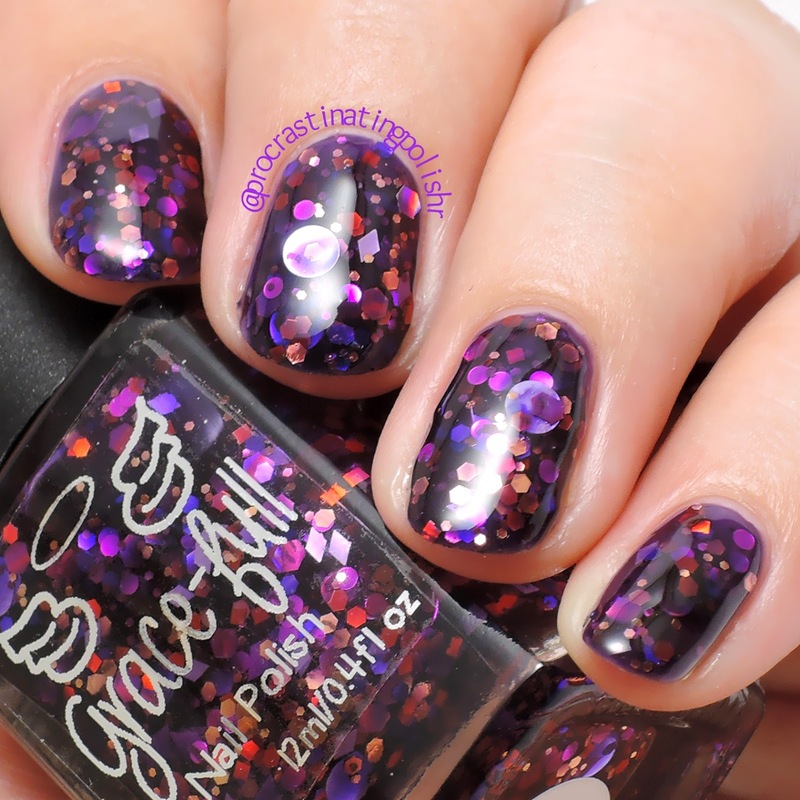 Love Sparkles has a flawless formula with an amazingly smooth finish. Opaque in 2 coats, no dragging or balding, and it shines like nothing I've ever seen. The shine is completely different to the look you get from a glitter - this polish positively radiates light. 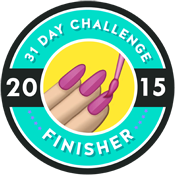 I used one coat of Peita's Polish Quick! Gloss Me Up for a fast drying finish. The Valentine's Day Duo is available from Grace-full Nail Polish now for $17 as a set or $9.50 individually. 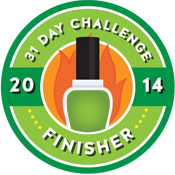 While you're there browse the many pages of polish because there's sure to be something else you'll love. I'll have three shades from the Girls Just Wanna Have Fun - Summer Nights range coming up in a few days, so stick around for more from Grace-full!